(Stillness in the Storm Editor) The subtle energy pouring out from one's body is usually referred to as an Aura. Mainstream science dismisses this concept due to a lack of comprehension in regards to how electromagnetism and life work together. But through the work of many researchers, such as Dan Winter, Wilhelm Reich, and Nikola Tesla, the realities of life force energy are beginning to be understood in alternative circles. The observation of the Kirlian effect from so-called non-living things, perplexed researchers who studied the phenomenon. Here is an example of a quarter dollar photographed to produce this effect. Non-living Kirlian effects lead some to conclude that it is just a measurement of radiant electrical energy, and has nothing to do with life whatsoever. And to be sure that is the case, radiant energy is involved, but as Dan Winter reveals in his work, the geometry and capacitance of electromagnetic fields are associated with life and its state of being. Winter is able to measure these states using his device the Heart Tuner. The following presentation by Winter explains the supportive basis for the claim that life itself is electrical in nature, and that the fields that living things produce can vary depending on their state of being. For humans, our mental state provides the basis for emotional responses, which in turn affect the bodies electromagnetic field—the aura. Given that some science fails to comprehend much in our world, perhaps we should look to other schools of thought. When doing so, we encounter an old idea echoed in many contemporary spiritual circles, which is that the universe itself, and everything in it, is alive. But the form and character which life takes are dynamic and diverse, not so rigidly confined to our human definitions. In other words, mainstream scientists can't comprehend auric fields because they incorrectly assume that non-biological things are dead when in fact, they are just another form of life. Ancient wisdom tells us that life is everywhere, and what we learn from Dan Winter is that life of a material form can be measured electrically. This is an accurate assertion because everything in the world of matter is made up of electrically charged things, within which we move, breathe and have our being. And while modern science has yet to make this connection, according to whistleblower testimony and alternative researchers, secret military projects have been developed and specifically designed to use these subtle fields to manipulate consciousness. The Montauk Project is one famous example, in the below-linked article, other mind and consciousness manipulation technologies are reviewed, including voice-to-skull devices. Despite the fact academia has not understood the connection between one's mind, emotions, body and resulting electromagnetic field state, there is a wealth of data available for the eager soul to discern that these things are real and can be used to benefit humanity. Since ancient times we have seen pictures and paintings of different spiritual leaders across various traditions but one thing that is common among all of them is the halo that surrounds their head which is known as the Aura- energy field. Many have dismissed Auras, especially those professed to be experts in natural sciences. However, with the assistance of highly sensitive cameras scientists have been able to photograph this field some experts believe could become a tool for use in the diagnosis and treatment of many diseases. This aura represents your physical, mental, emotional as well as spiritual energies. The aura is often seen a mix of fine coloured frequencies where each colour defines its own individual nature and characteristics. The vibration of this aura is very fine and subtle so we need very fine instruments to detect it and also to interpret the different colours and shapes in the aura which can reveal us a lot of unsaid information. The pioneers in this field, in fact, are the Kirlians, to this day any halos around photographed objects are referred to as the “Kirlian effect”. Kirlian photography is a collection of photographic techniques used to capture the phenomenon of electrical coronal discharges. It is named after Semyon Kirlian, who, in 1939 accidentally discovered that if an object on a photographic plate is connected to a high-voltage source, an image is produced on the photographic plate. The technique has been variously known as “electrography”, “electrophotography”, “corona discharge photography” (CDP), “bioelectrography”, “gas discharge visualization (GDV)”, “electrophotonic imaging (EPI)”, and, in Russian literature,“Kirlianography”. Kirlian patented many inventions to photograph the glow and captured many images of it. Over time, they noticed that the images varied from person to person. Kirlian and his wife were demonstrated that their images showed a life force or energy field that reflected the physical and emotional states of their living subjects. These images could be used to diagnose illnesses. In 1961, they published their first paper on the subject in the Russian Journal of Scientific and Applied Photography. The aura of a person has been found to be directly connected to the level of health of the person. A person is considered to be healthy in when their physical vitality, mental clarity, emotional well being as well as highly positive spiritual energies are relatively balanced. So a person who is healthy at all these levels has a bigger and brighter aura and vice versa in the case of an unhealthy person. A faint glow around certain body parts may indicate the presence of a disease or disorder. From the intensity of the glow, the Kirlians learned to determine the total activity of the body, the efficiency of different treatments, as well as the state of organs and systems. Today the GDV method is fairly well developed and can be used to conduct a general analysis of the whole body. The pictures are qualitatively and objectively interpreted reducing the risk of medical errors. The effectiveness of different treatments can be detected individually. GDV is based on light emissions which appear in high voltage electromagnetic fields. If it were to become widely used in traditional diagnosis then, with its help, doctors could not only easily carry out common diagnosis at a given moment but also identify diseases which may occur in the future. This could greatly improve the quality of preventive care. It was found, that objects which are not alive, do not change parameters of their “aura” more than 2%. LIVING objects however can change their aura field dramatically and quickly. This provides scientists with unique tools to study physics of LIFE and consciousness using bio-electrography. For example, Prof Bunzen in Russia found that the response in Kirlian Aura seems to precede (appear as soon or earlier than) electric processes in the brain during a decision making process. From his research, presented in 2001 at the International Congress “Science Information, Spirit” in St Petersburg, it seems that a thought “appears” in the aura before any electrical activity can be detected in the brain. Is our consciousness electro-photonic to begin with? It also appears that auras of people who interact with various objects such as drugs, crystals, minerals, colours etc. may change significantly. 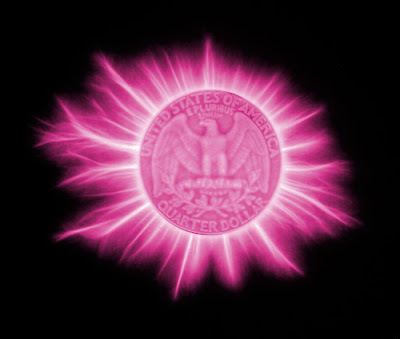 Modern Kirlian equipment are capable to quantify these effects in terms of their influence on the electro-photonic glow. It seems that detailed functioning of every organ and health effects can be also determined from the recorder stimulated electro-photonic glow. All living objects show continuous changes in their aura. A major series of experiments of a team of scientists coordinated by Prof Korotkov in St Petersburg, Russia, demonstrated that aura of the human body continues to change continuously for almost exactly 72 hours after clinical death. It seems, that among other things, not only the time, but also the reason for death can be determined on the basis of these changes. It is interesting to note that in nearly every culture on Earth for centuries people observe a 3 day period between death of the body and burial. 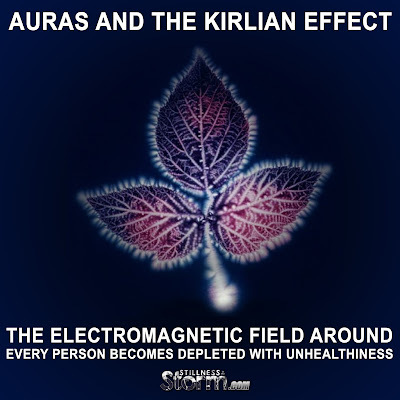 Slowly and gradually as more research was done in this field of Aura photography different technologies were developed claiming to capture the human aura or the electromagnetic field. Now till date we have different systems like PIP (Poly contrast Interference Photography), DAS (Digital Aura Scanning system), RFI ( Resonant Field imaging) etc which claim to capture the human aura and also help us in detecting the subtle imbalances in our bodies. Even though we are often consciously aware of our current emotional state, such as anger or happiness, the mechanisms giving rise to these subjective sensations have remained unresolved. Brilliant research by Finnish scientists has mapped the areas of our body that are experiencing an increase or decrease in sensory activity when we experience a particular emotion. Each of these areas also affects our aura. Each body area has a language as to what the organs do, the muscles, the nerves, etc. When a condition occurs in the body in a localized area, it’s to help us discover what we might need to change in order to keep “homeostasis” in our emotions, mental reasoning, and spiritual living. Needless to say, that in the traditional ancient oriental medicine the concept of the aura is well understood and commonly accepted. Eastern practices, both medical and spiritual, are initially directed at correcting the aura i.e. the spiritual body rather than the physical. Scientists such as Beverly Rubik have explored the idea of a human biofield using Kirlian photography research, attempting to explain the Chinese discipline of Qigong. Qigong teaches that there is a vitalistic energy called qi (or chi) that permeates all living things. Rubik’s experiments relied on Konstantin Korotkov’s GDV device to produce images which were thought to visualize these qi biofields in chronically ill patients. Vitalistic energies, such as qi and prana, exist beyond the natural world. The Princeton Engineering Anomalies Research (PEAR) program, which flourished for nearly three decades under the aegis of Princeton University’s School of Engineering and Applied Science, has also completed its experimental agenda of studying the interaction of human consciousness with sensitive physical devices, systems, and processes, and developing complementary theoretical models to enable better understanding of the role of consciousness in the establishment of physical reality. Scientists and researchers today all around the globe have confirmed that the matter which appears to be solid in reality is NOT A TRUE reality. This solid looking matter is actually made up of pure energy which is vibrating at a specific frequency which gives matter properties like shape, size, texture etc. These solid looking objects like a pen, book and even the molecules, atoms and cells in our bodies for that matter are actually made up of vibratory energy particles called electron, protons , neutrons and further more tiny particles. So when these particles vibrate in their nucleus, a small electrical impulse is generated in our body and according to the famous law of physics “When there is a electrical field around a body, a magnetic field gets developed automatically”. 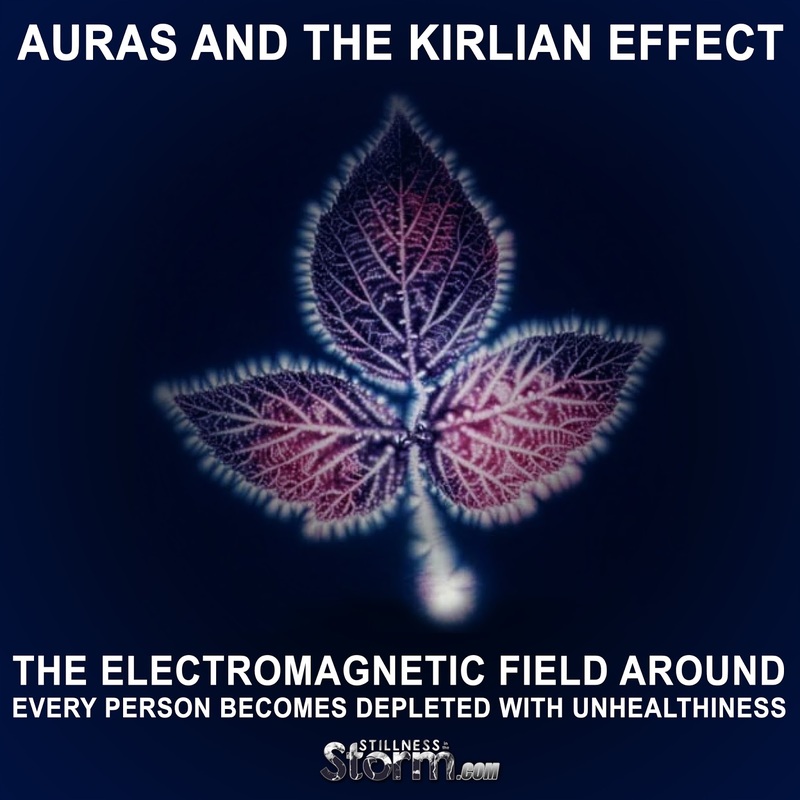 So the tiny electrical impulses in our body results into the formation of a magnetic field around our body which is actually know as the AURA- electromagnetic field of the body. Since everything in this universe is made up of the same constituent particles electron, protons, neutrons etc that means EVERYTHING HAS AN AURA. And if we keep on expanding these so called elementary particles we reach a point where we find nothing but pure energy vibrating at the very essence of these solid looking objects. Everything in this physical universe is nothing but energy which connects to everything in the universe. If we study our ancient Indian texts especially the yoga sutras we will come to know the subtle anatomy of our human chakra system which is actually a very important aspect of our Aura. Spiritually we can say that aura is our very own soul nature, it reflects our innermost desires and feelings, emotions etc. Aura is the layer of energy which interconnects all other subtle bodies and also acts like a shield covering and protecting our more refined subtle bodies like the mental, emotional, and spiritual and astral bodies. Like for our physical body to survive and maintain its health, oxygen plays a vital role for our existence similarly the Pranic forces which are commonly called Prana is the subtle energy that is required by our more refined bodies to function and maintain a good health. So if we want our bodies to absorb oxygen properly from the environment we should keep our lungs healthy thereby keeping our physical body healthy, similarly if we want our subtle bodies to function properly and to absorb the pranic energies properly we need to keep our aura healthy. Like for our physical bodies we do regular exercises to keep it healthy and working, we should also practice some form of energy exercise which regulates the proper flow of pranic energies in our subtle bodies. “Our Subtle bodies”, namely they are called physical body, emotional body, mental body, spiritual body and the last is our Astral body. So all in all our aura is made up of 5 basic layers out of which the physical body we are able to see with our naked eyes because it vibrates at a relatively lower and denser vibrational rate and the rest of the four bodies vibrate at a higher frequency. Even if the physical organ is removed from the physical body, its energy imprint is always there in the astral body. Most of the healing which is intended to be sent on the physical body is first received on this layer, the healing is done on the intended parts of this astral body and then the new energy imprint or the information is transferred down to each of the lower body till it reaches the physical body. Once the root of the disease is removed from the blueprint of our physical body, the symptoms appearing in the physical body start to disappear. The root of all disease then is not in the physical body but in the energetic body and no disease can ever take place in physical first before it is translated from the energetic body. So in this way energy healing sent by prayers, reiki, intention etc. is always first received on the outermost layer of the aura i.e., Astral body and then transferred to the other bodies. The most important purpose of our aura is to act like a vessel to hold all our bodies together and also to act like a shield protecting us from unhealthy vibrations. So the stronger our aura is the more protected & powerful we are. In time, a greater percentage of human beings will grow to adopt these concepts since consciousness is now at a level on Earth where we can understand why these energies exist without rejection. That in turn will assist in the progression of health to such an extent, that it will translate into a mastering of control on the subtle bodies that will no longer allow for disease in the physical body. Josh Richardson is blogger, healer, and a constant pursuer of the natural state of human consciousness. Credits: Josh Richardson, Prevent Disease. Used here with permission. Stillness in the Storm Editor's note: Did you find a spelling error or grammar mistake? Do you think this article needs a correction or update? Or do you just have some feedback? Send us an email at sitsshow@gmail.com. Thank you for reading. August 8th 2016: Minor grammar corrections were made to the introductory section of this article.